Toll Brothers has started construction on its “Brownstones” collection of luxury townhomes at the property. Toll Brothers is planning to build as many as 306 units of housing, including 40 affordable senior units and 21 affordable workforce housing units. A rendering of the Brownstone Collection to be built by Toll Brothers at the Edge on Hudson in Sleepy Hollow, NY. SLEEPY HOLLOW, NY—The first work on the long-anticipated redevelopment of the former General Motors minivan assembly plant site here has finally begun. 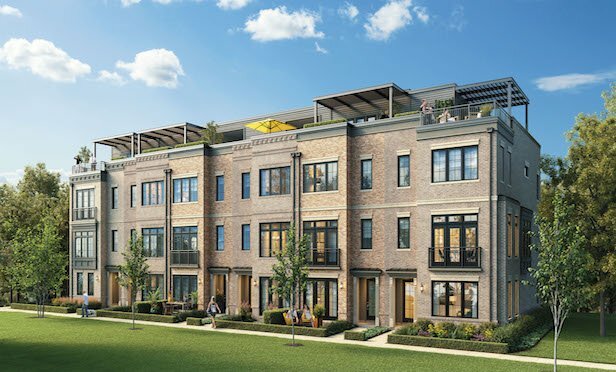 With One Legacy West nearing full occupancy and receiving $77 million in refinancing funds, Gaedeke Group announces the kick-off of its next project, Two Legacy West, adjacent to One Legacy West. The potential impacts around Lyft’s, Uber’s and Pinterest's already filed IPOs, and others have started driving buyer and seller behaviors, and while regional inventories increase, San Francisco sellers hold back.